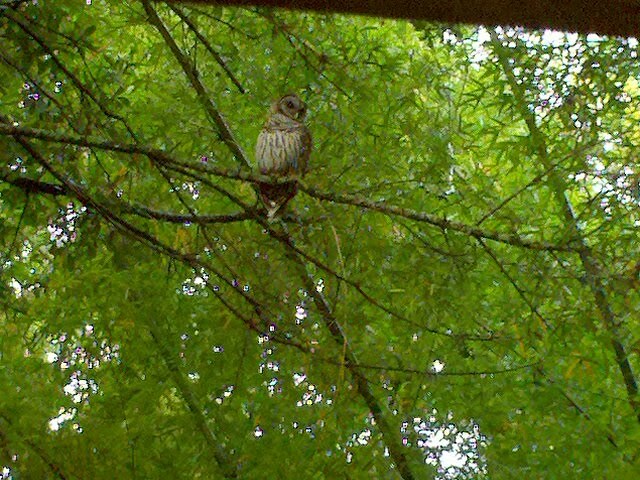 One of our resident owls. Haven’t seen any babies this year – but it sure is fun to watch and listen to the adults. 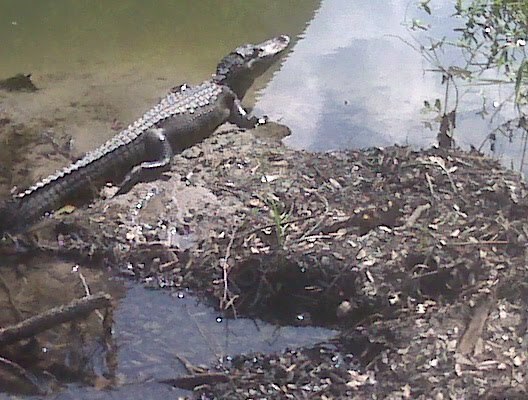 Using her phone, Miriam took this pic of an alligator while walking to work – she sees all kinds of wildlife there. This one looks big but was actually only about 4 feet long. 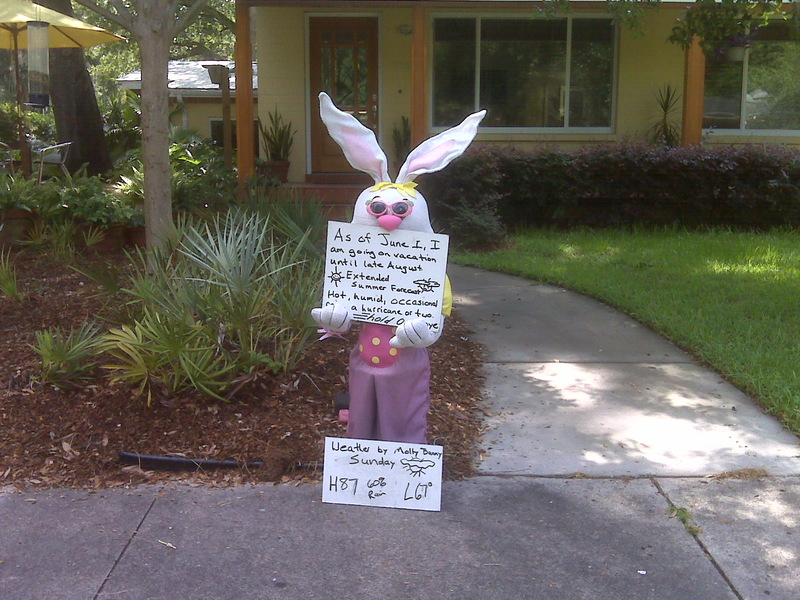 We encountered this weather rabbit during our walk around the duckpond. Forecast sounds pretty accurate don’t you think?